Photos, text and maps by Ian Mackenzie. Foreword by Wade Davis. "In our mechanistic world of science, technology and economics, there is little room for emotions and the sacred. Ian Mackenzie's exquisite images portray the priceless ecological treasures of British Columbia, invoking wonder, reverence and humility. Ancient Landscapes inspires in us a better sense of our place in nature's scheme." "This book is a record of six years of his travels, journeys that have taken him on foot and horseback, by canoe and kayak, by air and river, to every remote corner of the province. Working under the most difficult conditions, in every kind of weather, and often alone for weeks at a time, he has been a pilgrim of the wild, a seeker of those quiet moments of illumination when the very spirit of a particular place shines. The ease with which the rest of us snap images of nature must not blind us to the magnitude of his achievement." Throughout the age of European discovery, the northwest coast of our continent was one of the remotest regions on Earth. The African shore had been mapped for 300 years before George Vancouver first saw the lands that now bear his name. Asian spices had enlivened the cuisine of Iberia for two centuries before Spanish merchants arrived at Nootka Sound to trade cloth and iron for otter skins. Canada's westernmost province has an ancient history of inaccessibility. Some scientists believe that people arrived in the Americas as long ago as forty millenia. Such early immigrants could have colonized the southern parts of the continent, but they would not have discovered the land we now call British Columbia. The Pacific Northwest lay buried under a mile of ice. When the glaciers retreated from British Columbia around 12,000 years ago, they exposed a dozen mountain ranges running north to south. The rugged terrain gave rise to a mosaic of climates. Damp ocean air moving east over the ice-scoured landscape supplied some valleys with abundant rain. Other valleys, in rainshadow, became semi-desert. Plant colonies moved northward in the wake of the melting glaciers, and flora and fauna soon reflected the wide variations of altitude and rainfall. Today, British Columbia is the most ecologically diverse province in Canada. Montreal was an old city when Vancouver was still a rainforest. Railways linked Boston, Chicago and New Orleans before the first wagon road was pushed into British Columbia's interior. 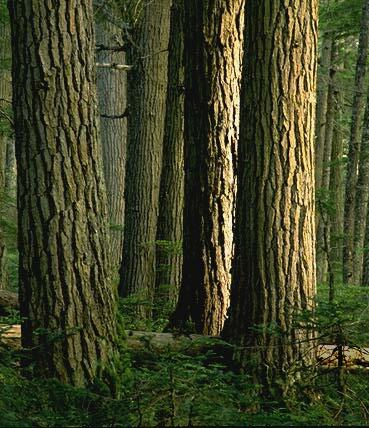 The vast eastern forests of white and red pine had fallen before large-scale logging even began in British Columbia. We are still pioneers. Our moment in history is both exciting and appalling. We are one of the few peoples on Earth who can easily fill our lives with the joy of wilderness. Yet we are destroying our natural heritage at an unprecedented rate. Half of Canada is still wild, but most of its untouched territory is locked in snow and ice for nine months of the year. 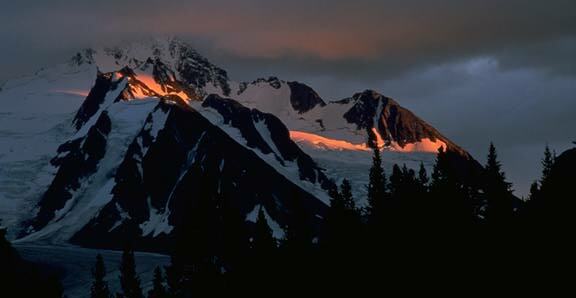 Little temperate wilderness remains, and British Columbia has most of what is left. We inhabit a land where we can still walk alone for days in valleys that seem unchanged since the ice age, or sail the waters of inland seas and rarely see another vessel. We belong to the world's privileged few. We need not travel far to drink from wild rivers, rest on the moss of primeval forests, listen to surf on deserted shores. 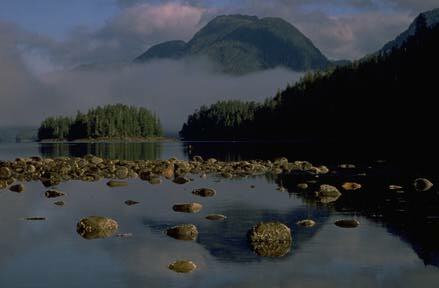 Princess Royal Island, heart of the largest area of temperate wilderness in the northern hemisphere. Ancient Landscapes is more than a collection of beautiful photographs. It is also a guide to the remaining wilderness of British Columbia. Each chapter covers a geographical area, and the location of each photo is indexed to a map. Wilderness is found where there are no roads, and one of the maps, symbolized here, shows those areas of British Columbia that were roadless in 1989. This is the first map of the province ever published that correlates wilderness and altitude. Two categories of wilderness are shown. Green signifies roadless areas at low elevation, where most of the fertile land, valuable forest, and biological diversity is to be found. Yellow indicates high elevation, and includes sub-alpine forest, mountain tundra, rock, and ice. Although about one third of British Columbia is still pristine, this map shows how little of the precious low elevation wilderness is left. Order Ancient Landscapes of British Columbia through your local bookseller. Interested in the fight to save wilderness on one of the world's last frontiers? Visit the Web site of the Western Canada Wilderness Committee, one of British Columbia's best known and most effective environmental organizations.